Registrations for the largest university sport event in Europe – the European Universities Games Coimbra 2018, are open until March 15. The Games will feature Badminton, Basketball, 3x3 Basketball, Football, Futsal, Handball, Judo, Rowing, Rugby 7s, Table Tennis & Para Table Tennis, Tennis, Volleyball and Canoe Sprint as a demonstrative sport. Under the slogan "A winner's heartbeat!" 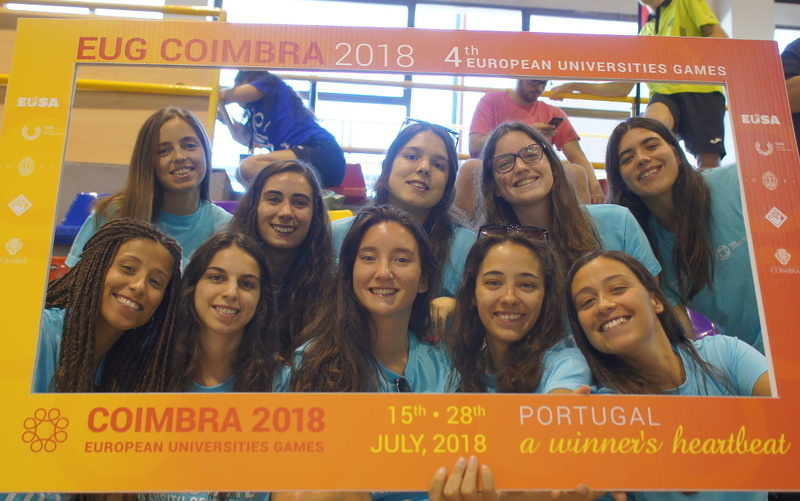 this summer the university city of Coimbra will host the fourth edition of the European Universities Games between July 15 and 28, 2018. In every sport, competitions are open to both men and women, including competitions for students with disabilities in Para Table Tennis. European students between the ages of 17-30 will represent their respective universities at the Games. The event will also feature Rectors' Conference, various workshops and diverse cultural programme. If you are interested in being involved in the largest gathering of European student athletes in 2018, then contact the national university sport body in your country to find out how to be there! Most of the sports are already filing up, so if you would like to take part, please hurry up and register! For more information, please visit the official website www.eug2018.com and European Universities Games 2018 on EUSA.